Ask any man or woman about the day of their birth, what they personally recall of one of the most momentous days in their life, the moment they exposed themselves to the world, took their first breath of air, felt the pain of being alive and kicking on Earth, and for the most part they won’t be able to tell you a thing about it. They don’t remember it. Of course they have anecdotes and stories about it, but those are ones which others have related to them, and perhaps related so many times that they believe that those tales are a memory of their own. If we hear something enough times… we’ll end up absorbing it, believing it, adopting it as ours, a part of us. See enough pictures of yourself as a baby and you’ll begin to feel you were in there and that is you. Frankly if someone showed me a pic of any baby and told me – that was you as a baby – how would I know if it was or it wasn’t. I’ve seen pics of myself as a baby. I just look like a baby. In the earliest pic I’ve ever seen, taken by the hospital (I think as I was wearing a hospital bracelet), I’m a squishy-faced fuzzy-headed tiny thing who looks like I’ve smoked a few joints, with one hand raised into clenched fist (power to the people) and the other hand doing something which looks like a peace sign (Make love not war, man). Whoever took that pic may have posed me that way for a bit of a laugh… it was a sign of the times. 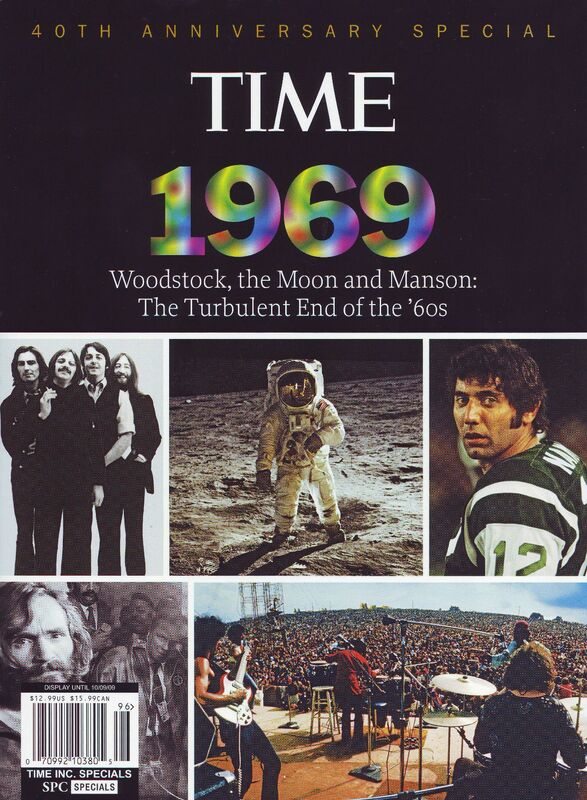 The year I was born, was the same year that Monty Python launched their Flying Circus and proclaimed – And now for something completely different. Man walked on the Moon (or at least man told other men that man walked on the Moon and had selfies on the Moon to prove it). And a bunch of other things happened (like in most years). In a few days I’m tuning 46. For those of you who have yet to reach your 40’s… it’s an awesome decade, so don’t be afraid to age! Since turning 40 I’ve had some of the best years of my life, the most fun part of which has been a release from everything which came before. A kind of freedom to be whoever the eff I am, here and now. To be honest, I never thought I’d make it out of my teens, the 20’s weren’t any better, in fact they were much worse until the tail end of them. The 30’s were a bit humdrum, they had their drama but it was muted compared to earlier stuff, but they dragged… the 30’s were a drag. The 40’s… well I just thought – How the eff did I reach this age, and what do I do now, life is pretty much over or something like that… what a moron! I’ve had a rebirth of sorts in the past few years, the kind of rebirth which is a coming home to the self. Dropping a lot of the BS about who I’m supposed to be according to popular opinion or social views, yadda-yadda, and embracing who I am as is. This is me, it’s a mess, but it’s not as bad of a chaotic state of being as I thought it was. In fact I quite like being a human ball of messiness. 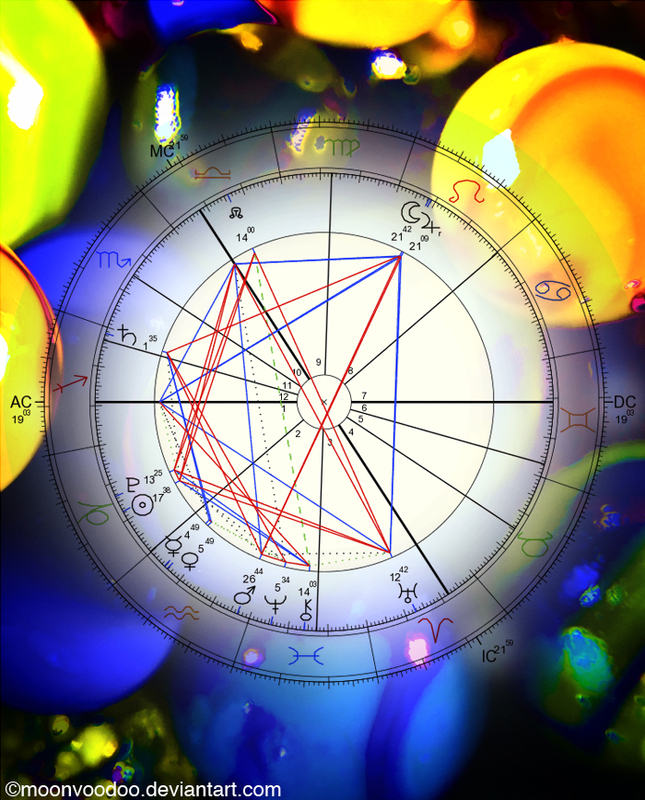 In the run up to my personal New Year, my birthday, I decided to check out my Solar Return for this year to come. I can’t read this type of chart, but I can make things up about it based on the little I know (or pretend that I know) about astrology. Which is fun… astrology is just one of the many subjects I use (in my own ‘special’ way) to get to know myself. And the first thought I had when I looked at it was – I’m going to be unbearable this year, more unbearable than usual – and I have to confess that made me smile and chuckle. If you’re following my social media ramblings at all, fasten your seatbelts and get ready to press the eject button. If you’ve been following one of my social media creations which I’ve been neglecting recently, this year I may stop being so neglectful and start nourishing those areas which have been a bit dormant. Apologies for my absence… 2014 was a bit personally overwhelming with – I am so exhausted – being a daily mantra. …or it could just all go pffft! 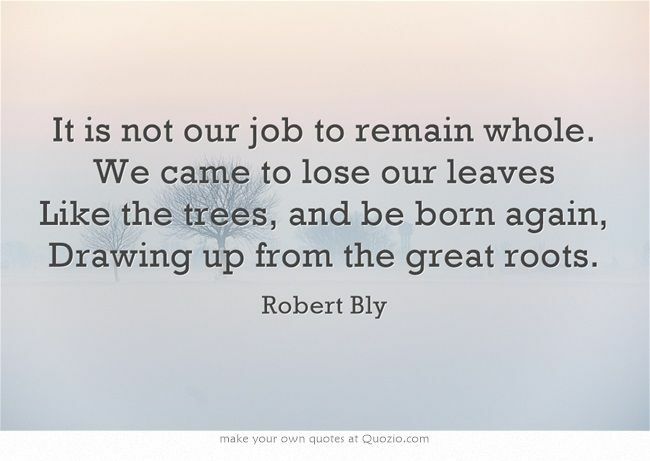 I’m quoting Robert Bly because a quick search on Astrotheme based on the astrological criteria of my Solar Return brought him up as a result, and I love his work. This in particular stood out for me when I did a quick quote search on goodreads. When I was a child I accidentally discovered a friend in myself. I was an only child who spent a lot of time alone. When I wasn’t alone I was surrounded by adults who mostly ignored me, which was better than when they paid attention to me. I didn’t have many opportunities to meet people my age, and those few moments when I did were often interfered with by the adults. Besides… I was too much of a freak to really connect with my peers. They were real children, I was… I have no idea what I was but it seemed to freak them out. I still freak people out, even when I try not to (probably more so when I try not to), but these days the freak is chic… or something like that. So, as a child I made friends with myself. I’m not really sure when I discovered that I could interact with myself that way, but it was the best thing which ever happened then… and it got me through the rest of my life until I met someone outside of myself with whom I could get along in a similar way. You know, one of those rare people who just gets you as you are, accepts you (genuinely and not as though they’re doing you a pity-favour) with all your freakery, because they’re kind of like you too. And you can be yourself with them and they don’t run away screaming… instead they stick around and love all the weirdness about you, as you love the weirdess in them. My friendship with myself has been a rock to cling to in a stormy life. It hasn’t always been the best of times, there have been very worse times in this relationship. 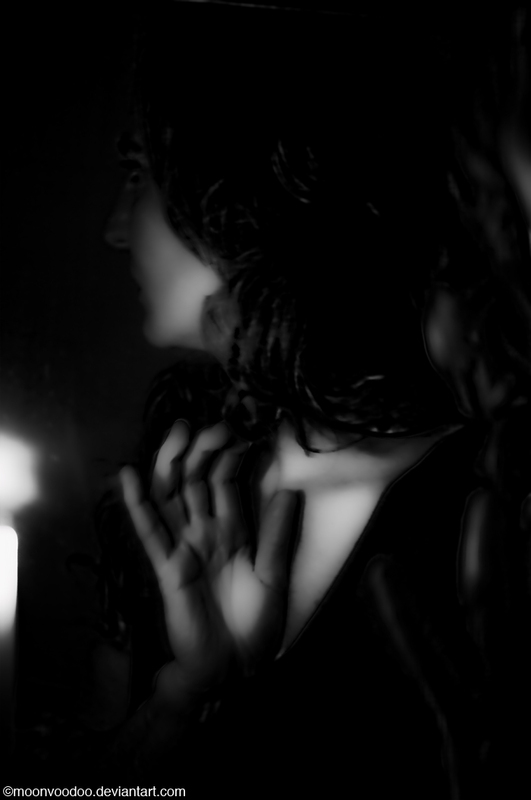 Moments when I refused to speak to myself and wouldn’t even look at myself in the mirror. Meeting my own eyes in the mirror has always been a grounding experience for me… so those times when I wouldn’t do that, I knew something was wrong and needed to be sorted out. I rely on those eye-meetings to keep me sane, particularly when I feel anything but sane. So, I’m hoping that even if I’m unbearable this year, I can still remain friends with myself. It’s a relationship which means more to me than I mean to myself. Or something like that. I have already done the menopause thing (and I love the way you spelled it – men-o-pause) and have to say that it was, for me anyway, a great experience. I had had absolutely terrible periods accompanied by the worst PMS. With menopause, I was expecting to turn into a gun-toting terrorist. Then it happened … and there was nothing. It was like someone just turned out a light. I had ONE hot flash. Anyway, don’t despair! It might be easier than you think. And btw, I love being a crone. This has absolutely been the best part of my life! In my mind’s eye menopause is like a ballet step (with a pirouette of humour to it). I’m looking forward to it, whatever it brings with it, it’s all natural woman-style. You had me spluttering with laughter in an extremely un-lady-like way (which is the norm for me, I never wear skirts for fear of flashing innocent bystanders while I’m climbing a tree for no reason other than because its there) at this – “With menopause, I was expecting to turn into a gun-toting terrorist.” – I think you may be onto something there, a mystery unveiled! I love the concept of the crone and have already embraced it to the horror of my female friends (particularly the ones who are older than me). Apparently it is not a politically correct thing to do to call yourself or anyone else a crone, even if you do a high-5 with it while saying Hoo-Ah! Al Pacino style – https://www.youtube.com/watch?v=_q_wgw8CsQA – oh, yeah! I hadn’t considered the menopause angle… that word ‘men-o-pause’ always makes me chuckle. I won’t probably chuckle so much when it actually hits, but who knows… I tend to get most silly when things get serious. My hormonal tendencies have never been agreeable, particularly to females of the species.